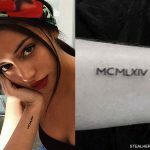 Chloe Grace Moretz’s new tattoo – which reads “it gets better than this” was unveiled by her tattoo artist Mr Woo on hin Instagram account. 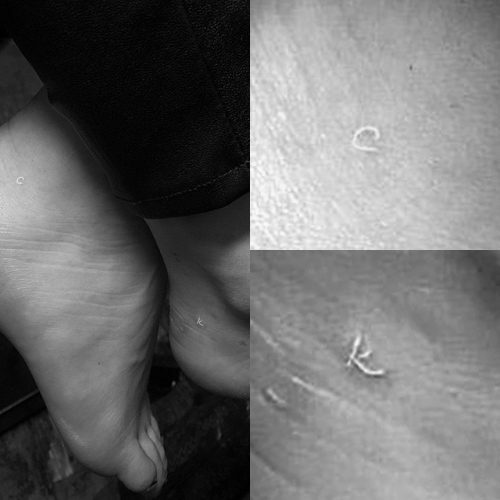 Chloe Grace got matching ankle tattoos with her pal, Kathryn Gallagher, that read “CK” in white ink. 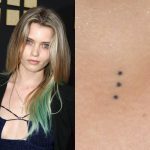 Chloe Grace Moretz has a new tattoo with featuring four numbers 4 4 1 9 surrounded by four circles and dotted lines that include the cardinal points. 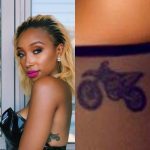 The ink seems to be on Chloe’s hip and the image was posted by tattoo-artist Dr Woo on his Instagram with the mention “The journey is the destination”. 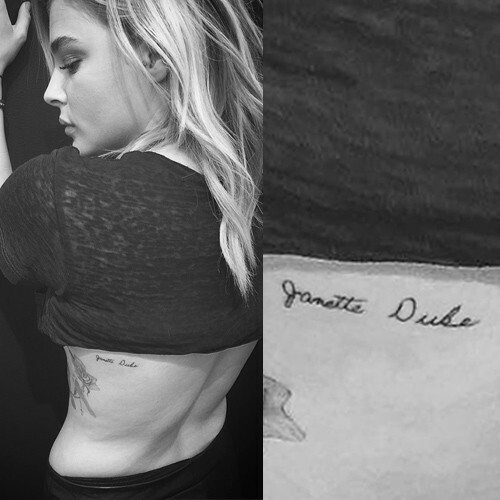 Chloe Grace Moretz had the name “Janette Duke” permanently inked on her skin by celeb ink-master Jon Boy on May 24, 2016. 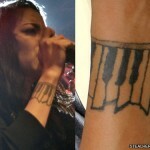 Janette Duke name belongs to her maternal grandmother. 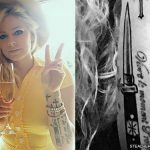 Chloe Moretz has a side tattoo picturing a rose, two little feet along with the name “Memom” in the memory of her grandmother. 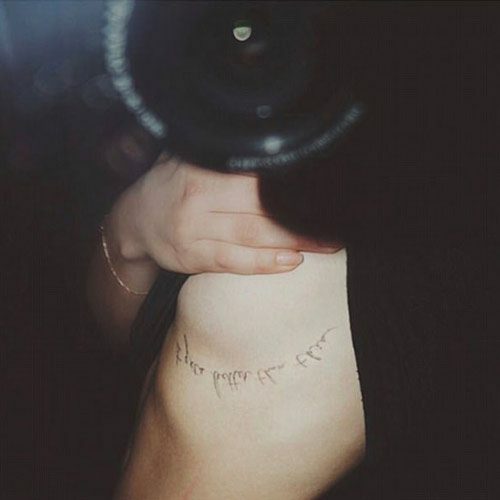 In June 2015, Chloe Grace Moretz got a tattoo on her right upper thigh of the letters “TBTKCE” which are the initials of her family members. 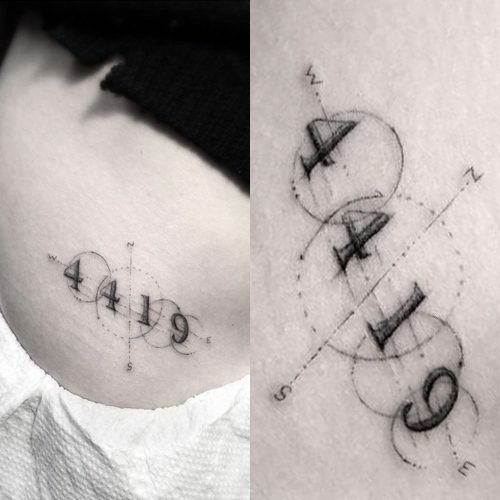 Artist Dr Woo did the the tattoo is a stipple dot style to give it a weathered look.